One of the most interesting features in Apple’s new iCloud service is Photo Stream, which automatically shares the latest photos from one iCloud-connected device (say, your iPhone) with all your other iCloud-enabled gadgets (like your iPad, your Mac, or even your Apple TV). Photo Stream makes for a great way to access your freshest snapshots from any of your devices, all without having to dig up a sync cable. But Photo Stream has its quirks, too—particularly when it comes to how long Photo Stream images are stored in iCloud and on your various iPhones and iPads. No iCloud, no Photo Stream. To sign up for a free iCloud account, just visit icloud.com, or you can sign up on your iPhone, iPad, or iPod Touch by tapping Settings, iCloud. You’ll also need Photo Stream (and iCloud itself) enabled on your various devices. For iOS devices (assuming they’ve been updated to iOS 5), tap Settings, iCloud, the make sure Photo Stream is switched “on.” On a Mac, launch the latest version of iPhoto, click the iPhoto menu, select Preferences, click the Photo Stream tab, then click the “Enable Photo Stream” checkbox. Windows users, meanwhile, will need to download and install the free iCloud Control Panel. By design, your iPhone, iPad, and iPod Touch will only store up to 1,000 Photo Stream images at a time, while iCloud will keep only 30 days worth of Photo Stream snapshots on its servers. Just click the “Save” or “Add To” buttons to save a Photo Stream image permanently. To save images from your Photo Stream permanently, you’ll need to save them to an album in the Photos app on your iOS device. 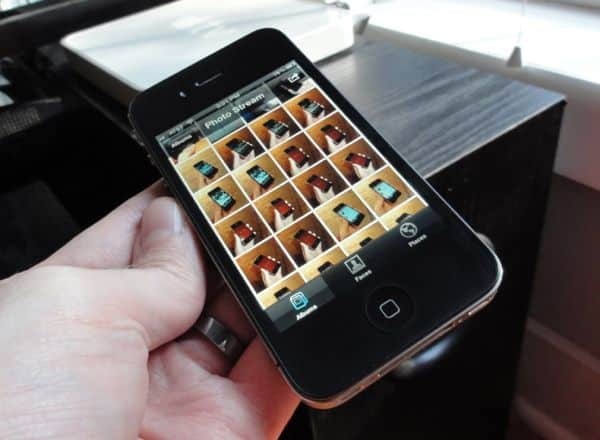 Just open the Photo Stream directory, tap the square sharing icon in the top-right corner of the display, select the photos you want to keep, and tap “Add to” (to save pictures to a particular photo album) or the “Save” button (to put them directly into the Camera Roll). Also, if you have Photo Stream active in iPhoto on your Mac (click the iPhoto menu at the top of the screen, select the Photo Stream tab, then check the Enable Photo Stream box) you can save your Photo Stream images on your desktop—and indeed, iPhoto will import all Photo Stream images automatically, and permanently. You can also save Photo Stream images to your PC by installing the (aforementioned) iCloud Control Panel for Windows. Last but not least, remember that the photos you take on a given iPhone or iPad will be saved—permanently—in that device’s Camera Roll. Photo Stream was saddled with an unusual little quirk when it first went live in the fall of 2011: once an image was uploaded to Photo Stream, it couldn’t be deleted—or at least, not without jumping through several hoops first. 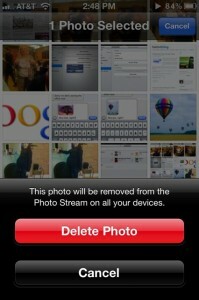 You can now delete any image from Photo Stream in just a few taps. Well, all that changed thanks to an iOS software update back in March. Now, you can delete a specific image off of Photo Stream—and when you do, it’ll be automatically erased from the Photo Stream of any other iPhones, iPads, or Macs connected to your iCloud account. To delete a Photo Stream image, just open the Photo Stream album on your device, select the image you want to nix, tap the trash can icon in the corner of the screen, and tap the red “Delete Photo” button. Zap! 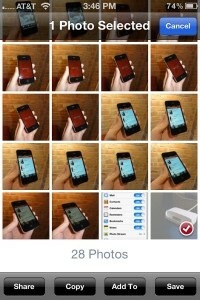 Just go to Settings, iCloud on your iOS device, then switch Photo Stream off. You’ll lose access to the Photo Stream on the device, but it will also stop uploading new snapshots to the Photo Stream. Turn it back on, and you’ll start uploading pictures to Photo Stream again, but any photos you took while Photo Stream was deactivated will stay on your device instead of floating into iCloud. Note: This updated and revised article was first published in October 2011.